I talk about the three things we need to have meaningful work: Autonomy, Mastery and Purpose. If one or more of those are missing, start moving toward a better fit. 1. 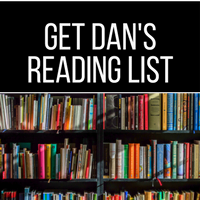 Dan I am a 47 year old full time Firefighter who seems to be constantly seeking a new direction and clarity in the workplace without attaining it . I find it very frustrating in not being able to make decisive decisions . How do i break through this barrier ? 2. A caffeine coach? Can one actually make money doing that? 4. How do I best help my husband increase his confidence? 5. What are some steps to take if your closest family members and friends are somewhat negative, glass half empty, kind of people? What could you do today to encourage someone who is discouraged? Need a simple beginning website? 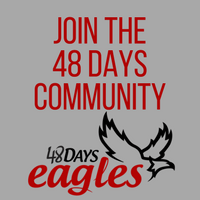 Go to weebly.com/48days and you’ll get 15% off when you sign up for your online store. Do you have what it takes to be a coach? 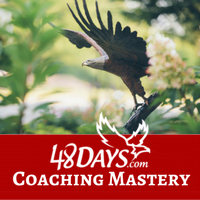 Check out our Coaching Mastery Program. Want to know how to start making money – even if you don’t have any products of your own? Check this out.